Nordic APIs arrange API events, workshops and LiveCasts throughout the programming world. Here is a timeline showcasing upcoming and past events. API experts and thought leaders will once again gather in Stockholm for the 2019 Platform Summit. Join us for an event jam-packed with sessions offering critical insights on building success in the API ecosystem. Keep an eye on our Twitter for updates, our sign up to our newsletter. 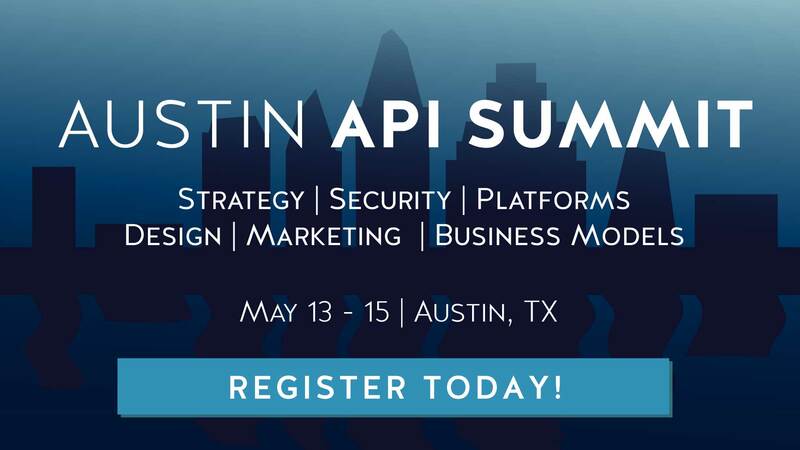 We're pleased to return to Texas in 2019 for the Austin API Summit, taking place May 13-15. This year's event will feature 40+ top API speakers on 2 tracks. Keep an eye on our Twitter for updates, our sign up to our newsletter. In this Nordic APIs LiveCast, we brought some core community members together to dive into GraphQL. Featuring a brief introduction on GraphQL pros and cons, comparing it to other API design styles. In this Nordic APIs LiveCast, we addressed the business side of APIs. If we regard APIs as products, how can we generate a return on investment? We cover strategies for monetizing APIs and improving the product experience for developers. Our annual flagship event Platform Summit moved to a new venue in 2018 to fit our ever growing community. The 2018 theme was 'Explore the API Universe' and featured talks on the trends, standards and best practices that are relevant today and that will propel web API practice into the future. In this LiveCast we featured lightning sessions that overview various microservice security strategies. We compared different modes for handling identity, digging into how OAuth and OpenID Connect can be utilized. This was a 2 and a half-day event jam-packed with workshops and critical insights on building success in the API ecosystem. For this second US event, we featured 30 speakers on a single track who discussed the many faculties of developing and sustaining a thriving API-first business. We’re partnering with Copenhagen Fintech to offer a unique exploration of API security for open banking and the financial technology sector. We’ll bring together experts on web API business and design to discuss the importance of designing robust APIs and microservices that meet regulatory expectations and are designed to scale well to developer usages. Nordic APIs big two-day event in Stockholm, Sweden. This years theme was Scale Your API Platform – Architect and deliver cutting-edge APIs and microservices. This half-day event was created to evolve the attendees API knowledge with hands-on exercises. The event was held in Amsterdam on June 12th, 2017, and it was the 21st in this series of all-API-related events and the first in Amsterdam. At this free, half-day event we gave an introduction to REST and Hypermedia, and talked about the important role OAuth2 plays as the central piece of the authorization puzzle. The event was co-organised by Nordic APIs and PayEx. This half-day event was created to evolve the attendees API knowledge with hands-on exercises. The event was designed to help Nordic organizations to become more efficient, automated, and programmable. This event in Copenhagen on March 1st, 2017 was the 20th in this series of all-API-related events and the fifth in Denmark. At the 2016 Platform Summit in Stockholm we talked about how to accelerate development and operations to design long-lasting APIs, and how to continuously deploy strategy to gain a return on your API platform. As our previous Summit focused on initial creation, this one was geared toward DevOps and really taking advantage of the platform. At the event we had parallel tracks – one with a developer focus and one with a business focus. At our half-day event in Helsinki we wanted to help you advance your API programming strategies. We partnered with API Suomi and PlanMill to present the API Stack – a conference dedicated to API development, DevOps, and backend design guided by industry expert speakers. Ideal for the API practitioner looking to strengthen their command in the API space and increase their platform longevity. In collaboration with the Stockholm Java user group, we gathered to talk about how to build APIs on the Java Virtual Machine (JVM). We focused on how to program APIs in Kotlin, Groovy, Clojure, and Java at this free after-work event. Four our first ever World Tour, we stretched our legs outside of the Nordics, hitting Copenhagen, Munich, London, and Seattle to discuss the entire API lifecycle. We hosted the Nordic APIs Platform Summit in Stockholm. This year’s regional conference was all about becoming an API platform. The workshops and two days of presentations helped API practitioners learn how to transform a business into an API platform. We organized the first Nordic APIs meetup in Gothenburg. All presentations from the meetup are available in our blog. Stockholm, summarized in this blog post. Copenhagen, summarized in this blog post. Recorded presentations available on YouTube. Helsinki, summarized in this blog post. Oslo, summarized in this blog post. We spoke at the developer conference Øredev in Malmö, Sweden. Check out the slides from our presentation. In November we hosted a day about APIs for Business at Internetdagarna in Stockholm, with the focus on how to make money from APIs. All sessions can be viewed on YouTube. In September we returned to Stockholm for our first 2-day event All 30+ sessions where recorded and the videos are on YouTube.